For now, this is the last post I will do about books! Once again, these books are excellent whether you want to take genealogy classes at Salt Lake Community College or not! They range in prices, so it’s good to start saving for them (NOTE: SLCC may have changed their textbook requirements since I took their courses). The Researcher’s Guide to American Genealogy by Val D. Greenwood (Third Edition): This is a hard read for the serious genealogist. It goes into extensive details about methodologies, archives, records, definitions, histories, tips, tricks, and much more. I would not recommend this book for beginners, but it does contain just about everything a genealogist needs to know in order to do research. This is probably the most thorough book I’ve run across. Overall, this book does not contain much in the way of charts, images, or examples. If I remember correctly, it doesn’t have exercises either. Also, some of Greenwood’s book may be outdated (concerning repository holdings, computer programs, and etc. ), but the majority of his book is current. I bought my book from the SLCC bookstore, but it’s also available at Amazon.com . New books start around $32, used books start around $15 (depending on the listing). Check out your local library. Larger libraries often have these books (like county libraries). What’s great is you can borrow their books and study them in further detail at your own home! To find public libraries near you, please click here. Check out your nearest FamilySearch Library (a.k.a. Family History Center or Family History Library). They generally have these books, but they are only available at their facilities. To find a FamilySearch Library nearest to you please, please click here. These books are excellent whether you want to take genealogy classes at Salt Lake Community College or not! They range in prices, so it’s good to start saving for them (NOTE: SLCC may have changed their textbook requirements since I took their courses). A Genealogist’s Guide to Discovering Your Immigrant & Ethnic Ancestors; How to find and record your unique heritage by Sharon DeBartolo Carmack, CG. : This is a nice easy guide that covers migration, immigration (mainly to the U.S), and ethnic research. The book’s set up is non-threatening, and filled with pictures, definitions, and examples. The book is divided into three sections. Part One mostly covers history, methodologies, resources, records, and repositories in general. Part Two covers Ethnic specific histories, research problems, repositories, and etc. Part Three covers how to write about your history. Most all the information is still current. I bought mine new on Amazon.com. New price ranges (about) $19-$30. Used price starts (about) $0.40 on up. (NOTE: This author also teaches several genealogy classes at SLCC). Professional Genealogy: A Manual for Researchers, Writers, Editors, Lecturers, and Librarians by Elizabeth Shown Mills: This is hard read for the serious genealogist. It covers a lot of professional aspects of the field. It covers different business licenses to consider, contract lingo, classroom teaching, lecturing, copyright issues, Fair Use definitions, salary calculations, and much more. Although this isn’t the easiest of reads, it has a lot of important information for the professional genealogist. I bought mine on Amazon.com. New price ranges (about) $57-$153. Used ranges (about) $55 on up). Digging Deeper: Using Essential Pre-1850 Records by Karen A. Clifford: This is an easy read, but for individuals who are already comfortable with research between 1850 to the present. This book helps expand researcher capabilities for more difficult generations. This book has pictures, definitions, examples, and (if I remember correctly) exercises. It explains pre-1850 methodologies, records, archives, and etc. It even touches on colonial research. I bought my book on Amazon.com, but this is hard to find in print. Currently, only one (new paperback) copy is available for $39.99, but PDF versions are available for $24.95 at the Legacy Family Tree Store. I have a print copy, so it’s unclear if (a.) the PDF allows for printing, or (b.) if it has an electronic table of contents (but I would assume the PDF version has an electronic search capability). (NOTE: Karen A. Clifford is another genealogy teacher at SLCC and BYU. It was cool not only learning from this book, but Karen A. Clifford herself! ). The Complete Beginner’s Guide to Genealogy, the Internet, and Your Genealogy Computer Program by Karen Clifford, A.G. [updated version 2011]: This is a nice easy guide for beginners. The book set up is non-threatening, and filled with exercises, pictures, and definitions. The information in this book is still current as it was updated in 2011. I bought mine new on Amazon.com. New price ranges (about) $33-$68. Used price starts (about) $17 on up. Becoming an Accredited Genealogist: Plus 100 Tips to Ensure Your Success by Karen Clifford, AG [revised Edition with Index]: This is also a nice easy guide, but aimed for individuals wanting to pass the accreditation process at ICAPGen. Like Clifford’s other book (mentioned above), the setup is non-threatening, and filled with exercises, pictures, and definitions. Since it was published in 1998 some of the information is outdated. For new accreditation requirements, please visit ICAPGen.org. With that stated, this book is still current on the skill sets, methodologies, and tips it presents. I bought mine on Amazon.com. New price ranges (about) $13-$35 (hardcover or paperback). Used ranges (about) $2 on up (hardcover or paperback). Evidence Explained: Citing History Sources from Artifacts to Cyberspace (Third Edition) by Elizabeth Shown Mills: Althoug_h not required for the genealogy program at SLCC, this can be a helpful tool. It explains the breakdown of citations and has cheat-sheets. This book makes it easier for individuals to create their own citation styles too. RootsMagic has many templates that were based off this book, but this program doesn’t explain the reasons behind their citation formulas. Mill’s book is the best out there if you want to understand citations (and not just create them using copy and paste). This book is available in print and electronic form at Amazon.com. Kindle format price $32.95. Print new and used price starts at (about) $42. (NOTE: the electronic version I bought was through the Adobe Digital Editions format, not Kindle. I was not happy with it. It didn’t have an electronic index, and I couldn’t print the book to have a physical copy of it. However, I could do keyword searches through the whole book which was nice. The Kindle version may be different, but overall I like my print copy much better). I can’t believe the semester is nearly over! I’ve learned a lot! Another thing I enjoy about GEN1014 (Making Money with Genealogy) is that the class goes over contracts. They shed light on different kinds of agreements, their purpose, and their legal jargon. To give a brief description of my understanding… contracts should almost always be implemented. The exception may be if the genealogist really knows their client well (and even then it’s recommended to use contracts). Generally, the less genealogists know their clients the more formal their contracts are written, but this can be a balancing act. Extremely formal contracts can scare customers away. Agreements can be verbal, written in letters, or emails, and so forth. However, legal phrases can be deceptive! Some wordage only protects individuals while the genealogy service is being performed. Others protect during and after. It’s important to know the ins-and-outs of legal expressions! ​Although my class covered agreements in detail, I still don’t fully understand them. However, thanks to GEN1014 I know where to look to learn more about them in explicit detail. 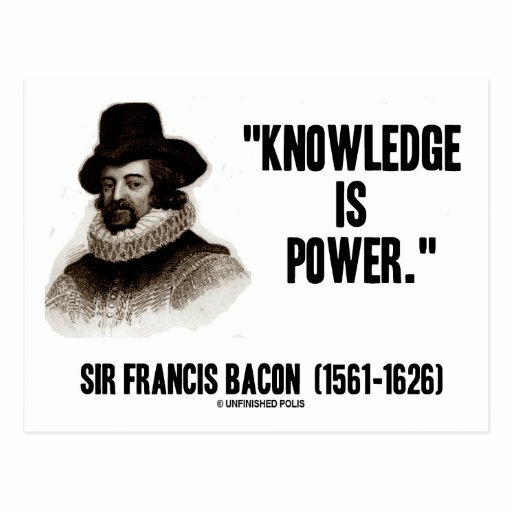 And in the end, “Knowledge is power” (Sir Francis Bacon, 1561-1626). To paraphrase a Salt Lake Community teacher, Janet Hovorka, “He/she who holds virtual real-estate holds a lot of power.” But what is it, and why does it matter? Virtual real-estate is what it implies… it’s cybernetic, or computer generated, property. Its websites and email addresses, but it goes even deeper than that. It includes accounts like Facebook, LinkedIn, Twitter, YouTube, and the list goes on. Virtual real-estate matters because it’s advertising. As a business, you want your company to be the first one seen when people google it. You don’t want your advertising to be outshined by someone else. The masses also lose interest fast. If they don’t find what they’re looking for easily, they can get frustrated and lose interest. On a personal note, this is one reason I have decided to keep Legacy Huntress a blog instead of a business. There is a Legacy Huntress clothing line who holds all of the virtual real-estate. Janet Hovorka helped me understand that, just because I can have a business with the name Legacy Huntress doesn’t mean I should. My company doesn’t need to hindered by someone else’s. ﻿Accreditation: How Prepared are SLCC Students? The Genealogy Program at Salt Lake Community College is designed to prepare students for accreditation (though ICAPGen), or certification (though the BCG), but how well does the program actually prepare students? Since my focus was/is on accreditation I cannot speak for the certification portion of SLCC’s program. The Four Generation Project (including: pedigree chart, family group records, research logs, research report, and key documents [not to mention that sources need to be properly documented with citations, transcriptions/abstracts/extracts, and evaluations]). A chosen region to specialize in (example: the Midwest, or Rocky Mountain Region). 80 hours researching nationwide records (like census, tax, military records, and etc.). Review ICAPGen’s “Important Record Types List” for the region of specialization, and have experience using at least 10 document types from that list. Experience using 10 different repositories (places where records are kept including websites). Repositories may include courthouses, churches, libraries, Ancestry.com, FamilySearch.org, and etc. By the end of SLCC’s program, the only thing I was lacking was the 80 hours of research per state in my region of expertise and my research binder (although I was close to having those requirements completed). In addition, my teacher found spelling and grammar errors that I still need to correct in my four generation project. She even recommended I condense my project (as I know I can be long-winded). 80 hours researching nationwide records: Although SLCC’s genealogy program might get students close to this goal, I feel that my previous research prior to SLCC’s program helped me fulfill these hours. 80 hours of research per state in the region of expertise studying local state record: I easily researched over 1500 hours while going through SLCC’s genealogy program, but the main focus in almost every class was to complete the 4 generation project. In other words, I studied the state records where my ancestors lived. Since they only resided in Missouri and Illinois, I was lacking research in the other Midwest (region) states. Although, compiling my research binder helped with these hours, it still wasn’t enough. Research Binder: My research Binder was still not completed to my liking by the end of the program Then again, I’m a perfectionist so this may have nothing to do with SLCC’s program. Other student’s may find it easy to complete their binders. On a side-note, by the time I’m finished compiling my research binder I should have completed all the research hours I need in my various states. Overall, I feel SLCC’s genealogy program has almost fully prepared me for the accreditation process (Level 1-3). Only minor tasks remain to be fine-tuned. Each student may have different results, but I believe this is a good synopsis of the program. The only other thing I want to do before completing my accreditation would be to spend several research sessions at the FamilySearch Library in downtown Salt Lake City. This way I will get a feel for the environment before having a test there. For more information on the Accreditation process, please see ICAPGen’s details about Level 1, Level 2, and Level 3. For information about their research requirements, please see their Level 1 Checklist. For policy changes, please view their updates. Well, I'm really excited! I finished GEN1014 about 1 1/2 months early! The fact that students can work ahead in Salt Lake Community College's genealogy classes is wonderful! Not many places allow students to do this! Now I look forward to the feedback my teacher (Janet Hovorka) will give on my assignments! GEN1014 is such an important class in my book! Thanks to SLCC, now I know what it will take to become accredited, and I feel prepared to enter the genealogical workforce once I receive my credentials! I know a lot of people are curious how student socializing works during online classes at Salt Lake Community College. I've mentioned the student discussions before, but I thought I would go into more detail. Student discussions are generally an online requirement. There frequency is determined by each teacher and they are usually graded. Every discussion has a topic to which the students need to respond through writing. After they post their initial discussion, other students are able to make comments on their posts (also through writing). On average, original posts need to be between 200 and 300 words (but this is determined by each teacher). ​Discussions are public for everyone in the same class to see. ​For example, in week eleven I have a discussion due in GEN1014. The title of this discussion is, "Well Designed Websites." Mrs. Hovorka has asked all of her students to locate three (less known) genealogy websites and name two reasons why each one is well designed. For this discussion, Mrs. Hovorka doesn't require her students to respond to other student posts (although she has required this in the past). This means I'm technically finished as I've uploaded my assignment earlier this month. I can comment on other student posts if I want to, but I don't have to. Well, things are coming along great with my genealogy class! Once again, I’m taking GEN1014, Making Money with Genealogy. I love that the Genealogy Certificate program at Salt Lake Community College lets me work ahead. It’s week nine and I’ve nearly completed this whole semester! (Sorry the links aren't blue like usual- Weebly is having technical issues with their font color options). Anyway, I thought I would give everyone a breakdown of what GEN1014 has to offer! The whole goal of this class is to create our business plans. Janet Hovorka teaches her students how to do this step-by-step. This encompasses creating an organized binder with a table of contents. We learn other helpful things along the way that aren’t mandatory for our binders too. It has been an eye opening experience! My goal is to become accredited before starting my business. Right now it’s still a dream, but at least I’m one step closer with each class! Now I know what to do when I want to start a business of my own! Want to Follow My Site﻿? Thanks to one of my blog viewers they brought it to my attention that there was no way to follow my site. I believe I have rectified this issue. Now anyone can follow Legacy Huntress by clicking on the Facebook Like button (or Twitter Follow button) on the right-hand column of my home page. Just know that the Facebook and Twitter buttons at the bottom of my posts will not do the same thing. If anyone has issues following my site, please let me know. Want to follow My site? Click the Like button (below) to follow Legacy Huntress on Facebook, or the Follow button (below) to keep tabs from Twitter! (NOTE: The Facebook and Twitter buttons at the bottom of my posts will not do the same thing).